WASHINGTON, DC, January 4, 2013 (ENS) – Congress approved a bill Friday that allows the National Flood Insurance Program to load on $9.7 billion in new debt to help meet claims arising from Hurricane Sandy. In the House of Representatives, a two-thirds majority was needed for passage and lawmakers passed the bill 354 to 67. The only “No” votes came from Republicans. After the House approval, the Senate adopted the bill in a unanimous voice vote, sending it to President Barack Obama to be signed into law. The law will allow the Federal Emergency Management Agency, FEMA, to pay claims to Sandy survivors who held federal flood insurance when the catastrophic storm hit in late October. Authored by Congressman Scott Garrett, a New Jersey Republican, the bill is the first of two steps that newly re-elected House Speaker John Boehner said he would take to deal with the superstorm that caused at least $60 billion in damages in 24 states. Hardest hit were New Jersey and New York. The $9.7 billion in borrowing approved by the bill does not even come close to meeting the needs for Sandy recovery, which are estimated by insurers and the government at around $60 billion. The House will consider a bill that could provide up to $51 billion in additional aid for Sandy survivors on January 15, the first full legislative day of the new Congress, said Boehner and House Majority Leader Eric Cantor. Boehner represents a district in Ohio and Cantor a district in Virginia, both states that felt the lash of superstorm Sandy. 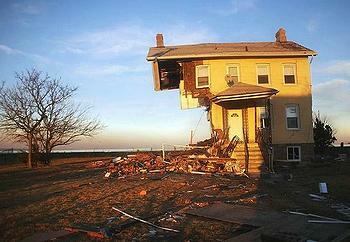 Congressman Paul Ryan of Wisconsin voted “No” on the Sandy relief bill. The bill to be considered on January 15 would temporarily increase NFIP’s borrowing authority from $20.725 billion to $30.425 billion. Even this is a far cry from the $51 billion estimated to be required for recovery. 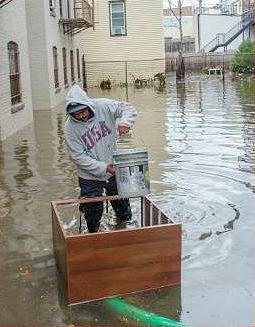 The National Flood Insurance Program is the only flood insurance provider in the country. The agency is close to hitting its $20.725 billion debt limit after claims from Hurricane Sandy survivors. In addition to the funds just approved by Congress, more than $1.2 billion in federal disaster assistance already has been approved for survivors of Hurricane Sandy in New York. Many residents in Staten Island, New York lost all of their food and clothing when Hurricane Sandy pushed waters as high as nine feet over the beach and into their homes. Other forms of assistance are also forthcoming. On Wednesday, 30 members of the New York National Guard walked door-to-door in New York to assist survivors, completing wellness checks, and checking to see if residents have electricity and heat. Residents with electricity but no heat, are provided with a portable heater.